Experience the epitome of romance and grandeur at The Alkaff Mansion’s inaugural wedding fair, bask in the rich history of the century old colonial building while charting the beginning of your destiny with your soulmate. This wedding show, the European-styled building will take on a vintage theme and will be embellished with hues of champagne, white, shocking pink and burgundy. Savour trendy creations that are robust and wholesome and engage in our line-up of activities for the lovers. Our dedicated and experienced team of wedding planners will offer 1-on-1 consultation to create the perfect fairy tale story. 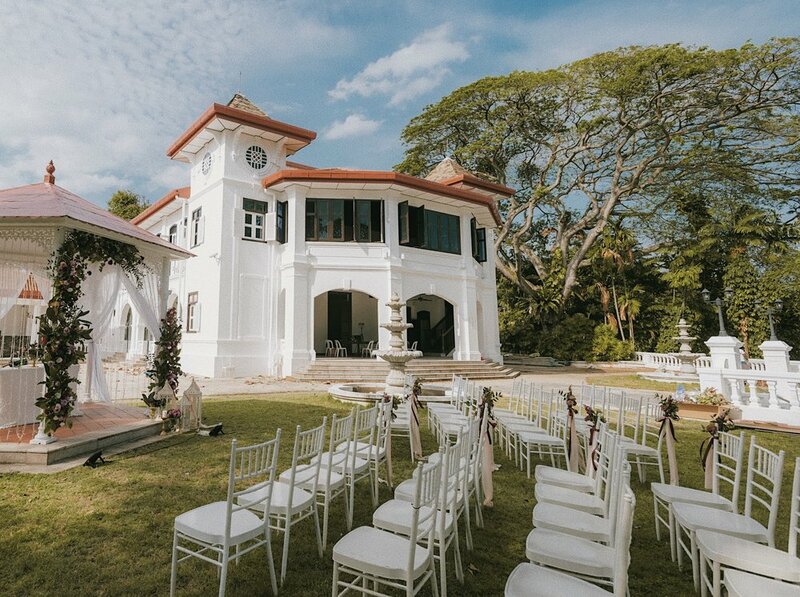 The Alkaff Mansion is perfect for a grand wedding of up to 250pax! Evening Session 27 aPRIL, 6.30 to 10P.M.